Florent Schmitt was one of the most original French composers of his generation, and his chamber music shows him at his most personal. The Quatre Pi�ces, Op.25 are evocatively lyrical, while the Scherzo vif brims with intricate but fiery virtuosity. 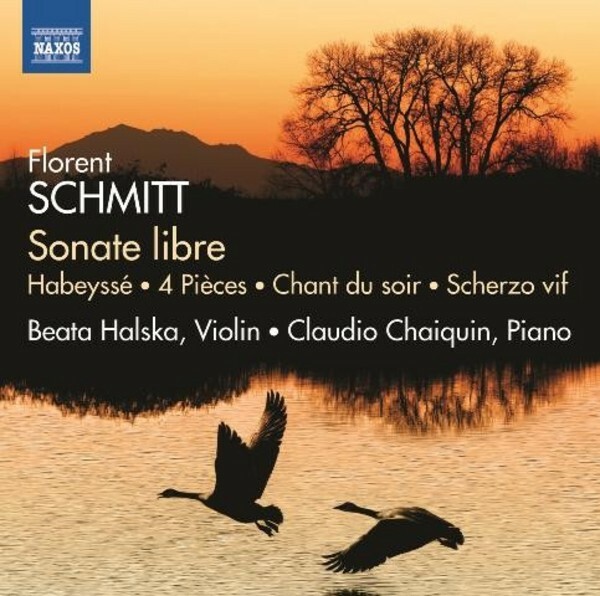 The Sonate libre, Op.68 remains one of his most admired works, a bold diptych with lyric rhapsody at its core but one that also evokes the tragedies of the First World War. The late masterpiece Habeyss�, Op.110 reveals the explosive power and subtle poetry of Schmitt�s imagination.